Upon arrival at Leh airport, meet our local representative, transfer to hotel. We recommend you complete relax for the rest of the day to enable yourselves to acclimatize, as high altitude sickness occurs when your body does not adjust due to lack of oxygen at the high altitude. In the late afternoon start for an orientation walk in the local markets. Overnight stay at hotel. In the morning visit the 600 years old Thicksey monastery which is the most beautiful monastery in Ladakh, the 12-storey complex is considered one of the finest examples of Ladakhi art and architecture. Perched atop a hill slope at about 11,800ft (3,600 meters), it is a stunning sight as you get closer to it and offers a beautiful view of the Indus Valley below it. 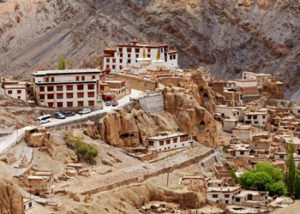 Continue drive to Hemis monastery which is situated around 45 km in the south of Leh on the west banks of the Indus river. Built in 1630, the Hemis monastery is the biggest and very richly endowed monastery of Ladakh. On the way back visit Shey Palace, It is one of the ancient palaces which is located beside Indus River and is approximately 15 km from leh. Overnight stay at hotel. Morning after breakfast leave for Uletokpo which is one of the most wonderful camping sites in Ladakh. On the way visit Spituk Monastery which is also called Pethup Gompa houses 100 monks and a giant statue of Kali. Drive to visit Alchi monastery which is located 70 km from Leh. 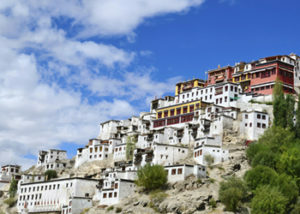 A national heritage site, it is distinct from other monasteries in Ladakh as it is situated on flat ground unlike others which are located on hilltops. The foundation of the monastery was laid by Tibetan translator Rinchen Zangpo in the middle of 12th century. Around lunch time, you will reach Ulleytokpo which is a scenic and ultimate destination blessed with breath taking natural beauty, Uleytokpo is an idyllic place for spending the vacations in a peace-loving and serene area. In the Evening, enjoy sitting on the bank of the river coming down from the Ridzong side. Overnight stay at camp. Leave for Lamayuru monastery via Khaltsi. 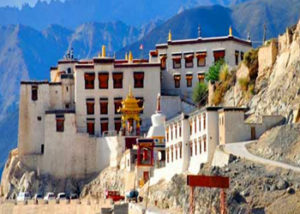 From here another 22 Km drive will take you to Lamayuru, which is the oldest and the largest monastery in Ladakh. It is located approximately 127 km from Leh. The monastery is famous for its rich wall paintings, collection of thangkas, murals, scriptures and statues of different forms of Buddha and other deities. In the Late afternoon drive back to Leh for overnight stay at hotel. Leave in the morning and drive to Tsomoriri. Stop at Upshi for document checking. Visit Chumathang which is famous for the boiling hot sulphur water. Chumathang is a small village with numerous hot water springs which possess the healing properties to give your body the complete relaxation. Visit Sumdah village on the way and another 55 km drive will take you to Tsomoriri. Continue drive to Tsomoriri, this serene lake is about 4,000m above sea level. 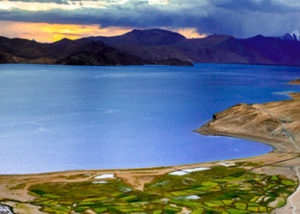 Picturesquely located in secluded, breathtakingly beautiful Rupshu Valley, the high-altitude Tso Moriri Lake is less than 250 km southeast of Leh. A large number of flora and fauna is found in the region. The Lake is 8 Km wide and 28 Km long. Overnight stay in camp. After having breakfast, departure to Leh. On the way, visit Korzok which is a small village situated 3 km from Tso Moriri Lake. At an altitude of 4572 m, Korzok is one of India’s highest permanent small town. Korzok means in the middle of the mountains and it is known to be an excellent location to enjoy the lake side. There is a monastery at korzok which is about 500 years old. Later return to Leh for overnight stay at hotel.